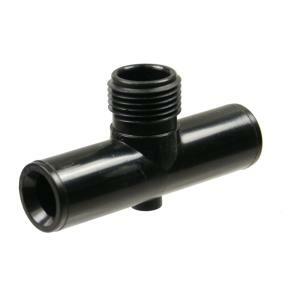 This economical compression tee x male hose thread adapter is compatible with our 1/2" poly tubing, size .700" OD. This allows you to run two lines in opposite direction from a single FHT (female hose thread) connection. Recommended maximum operating pressure of 40 PSI.